Fantastic new sites have been identified and we are looking for the right franchisee to make one of these great opportunities theirs. 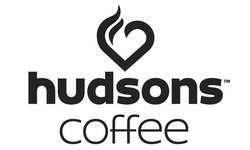 Established in 1998 and commenced franchising in 2003, Hudson Coffee has grown to over 100 stores Australia wide. 2019 will bring on a wide range of exciting opportunities in hospital sites across VIC, QLD and NSW and we are now looking for candidates to express their interest in joining the Hudson Coffee family. Limited number of opportunities and these won’t last long, so register your interest now to avoid missing out! Now is the time to purchase this successful franchise model that provides excellent support to our franchisees. If you believe you have what it takes to be a successful Hudson Coffee business owner and have a passion for coffee, we would love to hear from you. Enquire now for an obligation free discussion.